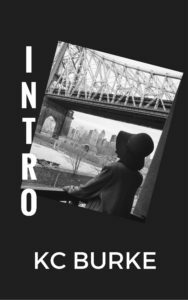 Kameeka Burke | Purposefully Pretty Inc.
Kameeka Burke is an educator, a poet (get her first poetry book here! ), and a mentor with an artistic soul. She has dreamed of working with the youth since she was a young girl. She is a graduate of CUNY Hunter College with her Bachelors of Arts in Psychology. Today, Kameeka is making her dreams into reality by working with the Dept. of Education as a Special Education Teaching Assistant and PurposefullyPretty, Inc’s Executive Director. Kameeka is currently attending Queens College to get her Masters in Mental Health Counseling (Class of 2020) and interning to further her training as a Mental Health Counselor. She plans to use her degree to continue helping all persons, young and old, by giving them the tools to maintain a positive outlook on life, the behavioral strategies to alleviate certain behaviors in a more restorative way, and the mindset to use these calming strategies on their own. The main thing Kameeka wants everyone to remember is to follow your dreams; let no one discredit your aspirations because of their own shortcomings.